All of the book reviews I post. Dollanganger Series Review…PLUS a Giveaway!! As promised, this is a review of the ENTIRE Dollanganger Series by V. C. Andrews. The series is comprised of five books. Flowers in the Attic, Petals on the Wind, If There be Thorns, Seeds of Yesterday, and Garden of Shadows. Garden of Shadows is actually a prequel to the rest of the series, but comes fifth in order of publishing. The series follows the four Dollanganger children, Christopher, Cathy, Cory, and Carrie. After they are left fatherless because of a tragic accident, they are whisked away to their mother’s childhood home, Foxworth Hall, in Virginia. We follow them throughout their childhood and teenage years on through their adulthood. The first two books are told by Cathy, the third is told by her sons, and the fourth is, again, narrated by Cathy. Then comes the prequel. We find out just what made the Grandmother so harsh and unrelenting and so into religion. We also learn why Corrine was a favorite of her father while she felt so disconnected from her mother. Chris returns to Foxworth Hall after the death of his father and his mother, so that Malcolm, Corrine’s father, can help send him to medical school as their father would have wanted. Christ and Corrine fall in love and are kicked out of the home. The end of the book finds Corrine coming back home with her four children, the beginning of Flowers in the Attic. I found all five of these books to be a VERY compelling read. It took me about a week and a half to read them all, and that includes still making sure that I take care of my husband and my kids, and spend time with my sister while she is in town visiting over Spring Break. I just COULD NOT put the books down. I was up until the wee hours of the morning reading, almost every night, because I had to find out what happened next and if the children ever found true happiness, or at least peace. Flowers in the Attic/Petals on the Wind! Yes, you could be the next proud owner of the first two books in the Dollanganger series by V. C. Andrews. Leave a comment as to why you would like to win a copy of this book. Only one comment entry per person. Open only to US residents. If you like my page on Facebook you can gain an extra entry. You must comment and/or like my Facebook page between March 15, 2013 and March 31, 2013. I will randomly choose a winner on the first of April. After you are notified, as soon as you get your information to me I will get the book out to you. If you have read the series, or any of the books in the series, what did you think about them? Were you as drawn into the sordid world of the Foxworths as I was? If you haven’t read them, let me know why you would either want to read them or not. Garden of Shadows, by V. C. Andrews, is the fifth and final installment in the Dollanganger series. 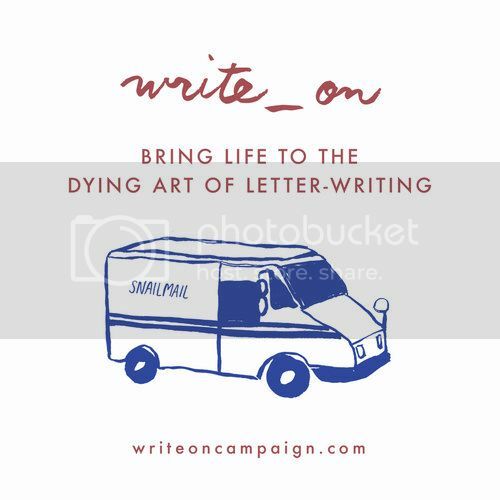 Even though it was written last, and written to be read last (in my opinion, and since this is my blog it’s all about me! ), it is the prequel of the series. The story is told from the point of view of the Grandmother, Olivia Foxworth. It begins with her super quick “courtship” with Malcolm Foxworth, their marriage, and her being whisked away to Foxworth Hall. She does her best to be the wife she feels every man needs, but finally resigns herself to just being the best mistress of Foxworth Hall that she can be. We are with her through her pregnancies with her sons, and then we meet Garland and Alicia Foxworth, Malcolm’s father and new teenaged stepmother, who is pregnant herself. Christopher is born, the man who is to be the father of the four children in Flowers in the Attic. After Garland’s untimely death, Corrine is born, Alicia and Christopher leave, Malcolm’s sons die tragically, and Christopher returns to Foxworth Hall after his mother’s death. We find out, when the pregnancy with Corrine is revealed, and she finally meets Christopher and falls in love with him, why her parents were so shocked and she was disinherited. The book ends with Corrine and her four children returning to Foxworth Hall and the beginning of Flowers in the Attic. I found the storytelling genius of V. C. Andrews again drawing me into this world of deep, dark family secrets. No matter what was happening, be it good, bad, or ugly, and this book had all of those elements, I couldn’t help but keep turning the pages to see what would happen next. What would be the final punishment? Did Corrine and Christopher ever find out the truth, the whole truth? Or was there just one, a single person, who conquered all in the end? Please, stay tuned, for another review blog in which I review the ENTIRE series, with a little surprise for you included! The fourth book in the Dollanganger Saga, Seeds of Yesterday by V. C. Andrews, was yet another compelling read. Foxworth Hall has once again risen. Bart, Cathy’s youngest son, is finally coming of age to have everything left to him by his grandmother, Corrine, and everyone is moving into Foxworth Hall. Long lost Uncle Joel has returned as the temporary butler. One tragedy after another befalls the inhabitants. Cathy can’t help but feel it is the house itself causing all the troubles. She is also worried about Bart’s mental health as he again falls prey to a religiously zealous old man. Will they survive the horrors that Foxworth Hall has in store for them and become a nice happy family? Or will it destroy them, once and for all? Again told by Cathy, we follow her and her family back to the dreaded Foxworth Hall, where it all began all those years ago. I did find some of the things kind of funny, such as all of the “new” electronic gadgets that allow Bart to buy, sell, and trade stocks and such from home. I find it funny because they were all amazed at how far the world had come, in terms of electronic gadgetry advancement, when we are so much further advanced in the real world than they are in the book. The book was published in 1984, and if you add up the age of Cathy and go back to the year they originally were brought to Foxworth Hall, the story is taking place around the year 2000. I don’t know, but I found it funny that we are actually more advanced, and were for several years, before. If that made sense to you. It made sense in my head. I digress, so back to the book. I did read through this one very quickly, as well. Once I get started, I just don’t want to stop until I know what happens to everyone in the book that I’ve grown to care about, and I want to see those that I am not so fond of, and see if they succeed in their plots to ruin everyone, of if they are ruined themselves. I did find the chapters a little long, but that’s only because I really don’t like stopping in the middle of a chapter to go to sleep or do something else other than read. 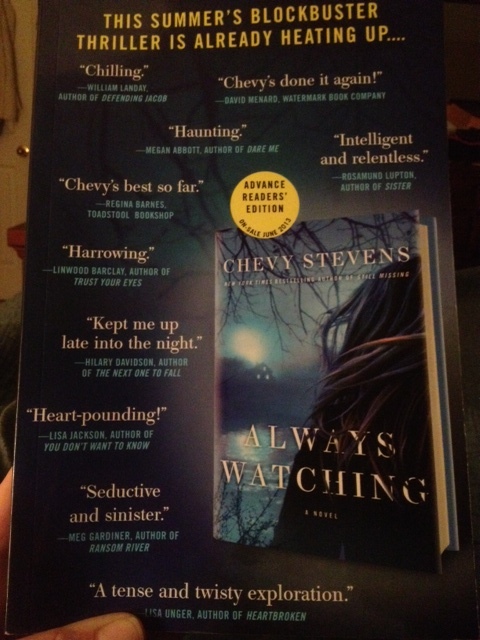 It was another great book, as expected, from V. C. Andrews. One book left to read in the series, Garden of Shadows, which I will start reading later tonight, or Monday since my dad is coming to town this weekend. The third book in the Dollanganger saga, If There be Thorns, by V. C. Andrews was yet another spellbinding read. As the story continues, we find Chris and Cathy living in California with Cathy’s sons, Jory (14) and Bart (10) as a happy family. Chris is a doctor, Cathy is a ballet instructor, Jory is a dancer, and Bart is a clumsy, imaginative lad. They live next door to an old abandoned mansion, separated by a large wall. The boys have made this “their” playhouse. That is, until one summer day there are construction workers repairing the house and making it ready for its new mistress to move in. When the Lady in Black finally arrives, with John Amos – the butler – in tow, Bart finds solace in the fact that she loves him dearly no matter how clumsy or ugly or unlovable he believes himself to be, and he becomes very entranced by John Amos and what he tells him. As the story progresses, Bart begins to act erracticly, even for him. Everyone worries about him and his mental health, but only Jory knows that he is going over to the Lady in Black’s house all the time. The storytelling prowess of V. C. Andrews will leave you turning the pages long after you should have put it down. Will Cathy discover who the Lady in Black really is? Will Bart succeed in John Amos’s plans to exact his own revenge on everyone? Will Chris and Cathy’s secret be exposed to the world? When the book begins, Cathy tells us about their move and where they are now. Then she hands the narration over to Jory and Bart since it is “their story now.” The first couple of chapters are easy enough to follow, as they are titled with the name of the child telling the story. But as the book progresses, you have to figure it out on your own, which isn’t too difficult for the most part. I did find, however, that reading Bart’s part of the story was a little more difficult to follow than Jory’s simply because he is a younger child and prone to not only exaggerations, but also to imaginative tall tales. His vernacular is also a little hard to follow, though that tends to get easier the more you read into the book. All in all, I would say that this book would get a three star rating from me. It was well told. The plot line wasn’t as intricately woven as the previous two books, but it still kept me hungry enough to keep reading until I was finished. If you enjoyed the first two books, Flowers in the Attic (my review found here) and Petals on the Wind (my review found here), then you should enjoy the third book in the saga, as well. In the second book of the Dollanganger series, Petals on the Wind by V. C. Andrews, the three surviving Dollanganger children, Chris, Cathy, and Carrie, have escaped their attic prison. They are running to Florida to join the circus when chance lands them on the doorstep of small town doctor, Paul Sheffield. He takes them in to treat them for their arsenic poisoning. Dr. Sheffield can’t help but fall in love with the children, all in their own way, and formally become their guardian. He puts Chris through college and med school to become a doctor. Cathy attends ballet classes and eventually moves to New York to fulfill her dream of becoming the next great prima ballerina. Carrie stays on with Dr. Paul, as she affectionately calls him, and becomes his secretary. As their lives progress, Cathy has plans of her own to exact revenge upon the mother that locked them in the attic all those years ago. She does everything she can to make sure she gets her revenge on the one who abandoned them, the one she blames for Cory’s death. Will she ever get her revenge? You’ll have to read yourself and find out! If I thought I was up all night to read the first in the series, Flowers in the Attic (which I reviewed here), then I really didn’t sleep while reading this one. I just had to keep reading to see what happened next and to find out if Cathy ever got her revenge, or if she ended up forgiving their mother, which is what Chris kept trying to get her to do. 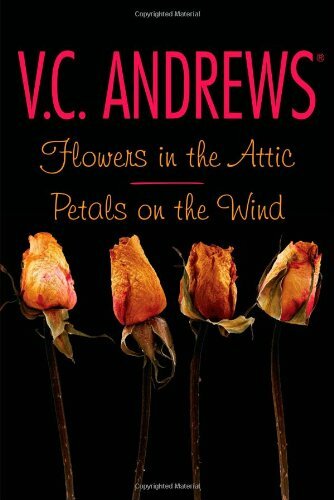 In Flowers in the Attic by V. C. Andrews, four children’s lives are suddenly shattered when their father is killed in an automobile accident and their mother whisks them away to her parents’ estate. She tells them she is going to hide them away in a room and the attic until she can win back her father’s affection and is written back into his will. Only after that has happened will she bring them out of hiding and let them meet their grandfather. Cathy and Chris, the older children, are left to look after their twin siblings, Cory and Carrie, while their grandmother brings them food each morning to last them throughout the day. They begin to take on the role of mother and father. They turn the attic into a wonderful play area and spend their time thinking of how happy they are going to be once their mother inherits everything from her ailing father. They find out their mother was disinherited because she eloped with their father, her half-uncle! As the days turn into weeks, months, and even years, the children begin to suspect they will never be let out of their room again. This is the first book in the Dollanganger five book series. This book had me turning the pages long after bedtime. I couldn’t wait to reach the end and see if they ever got out of the attic or not. I recommend this book to anyone who enjoys fast paced reads and series of books.